This year, the biggest annual gaming show in Britain has moved. No longer am I travelling down the M4 to visit EGX in Earl’s Court in London while staying in a rip-off hotel. This time, I have travelled up the M5 to the NEC in Birmingham while crashing with some family. Bit of a difference I must say, but it means that I can sit here on my netbook with a can of Strongbow and the New Zealand v Namibia match in the Rugby World Cup. My visit this year will last until mid-afternoon Saturday. One reason for not doing the full four days is that I want to be back in Wales to watch Saturday’s massive World Cup fixture as Wales take on England. Now that I’ve bored you all to the high heavens with logistics and rugby, I’ll proceed with the my Day One report. 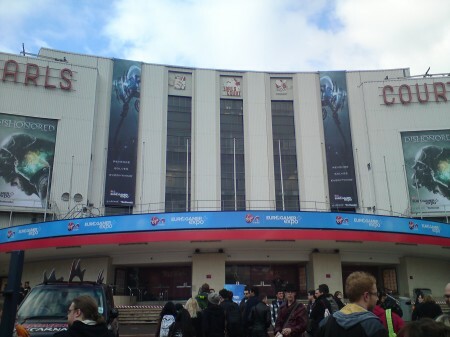 While most of us have been living our normal gaming lives, Chris has been of to London to visit the Eurogamer Expo and from the sounds of it 2014 has been another brilliant event. Make sure to read his words here, here and here if you want the low down of what’s been happening this weekend. Day three at the Eurogamer Expo has been my last for the year. A visit to Progress Wrestling is due tomorrow and occasionally some things take importance over games. Shocking I know! Day one of my experience at the Eurogamer Expo is in the bag, and it has been something of a long day. I was on a bus from my flat at 10am to the city centre to get a National Express coach at 11am over to London. On arrival in London I took a walk to my hotel and was checked in by 2.30pm and walked into Earl’s Court for my first day at the show. Last Sunday was Day 4 of the Eurogamer Expo, but I only managed to get an hour at the show which explains why there wasn’t a lowdown on Sunday night. There really wasn’t much to provide a lowdown on. It is another Sunday though and that means one thing…Our Week in Games. Day 1 at the Eurogamer Expo was a late arrival for myself thanks to traveling and checking in to my hotel. So I didn’t get to the show until three in the afternoon at which point things had got very busy. The Expo is over and now comes the busy task of writing up a bunch of hands-on impressions and previews. First though I want to take a final look back at the event, what was good about it, what was bad, what they could do with improving on and most important, my games of the event. To roundup Day 4 I need to go back a little bit to Day 3 and a little trip I took after my writing yesterday’s edition of the Roundup. I went to a smart pub around Piccadily Circus for the “Indie Game Meetup” which was a place where a bunch of indie developers were able to show off their wares with other indie gaming fans. Hit the jump for a brief report on that, and my Day 4 roundup. As I mentioned in my EG Expo Day 2 Roundup I managed to get a pretty decent session with Dishonored yesterday, and it was a brilliant experience. After the break is a blow-by-blow report of my hands-on session, enjoy.